The weather has been very cooperative. Sunny for a few days rain for one. The garden is flourishing. 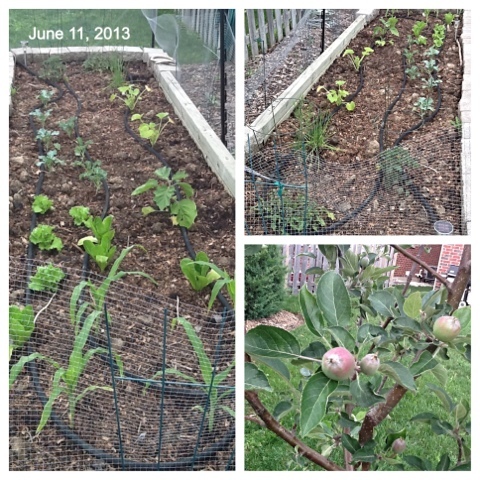 I love the fence that is keeping the rabbit out so the lettuce can grow. Plants look great! I add composted cow manure from the local farmer and all my plants love it.